KRONOTSKY NATURE RESERVE /Kamchatka/, August 10. /TASS/. 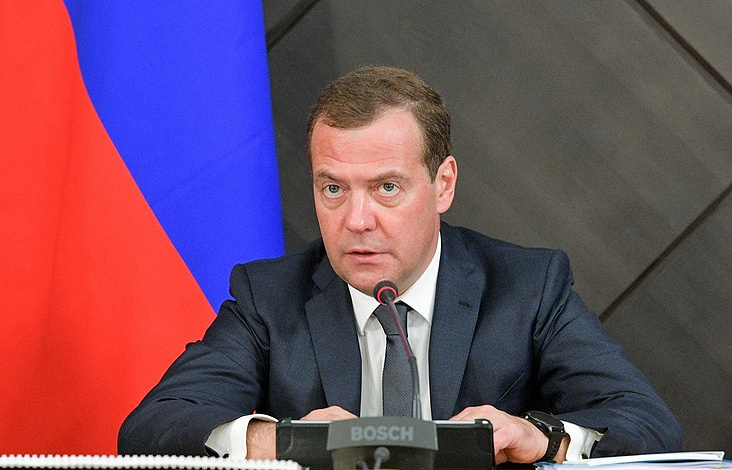 The possible tightening up of economic sanctions against Russia may be treated as a declaration of economic war, which must be responded by all economic, political and other means possible, Russian Prime Minister Dmitry Medvedev said during his visit to the Far Eastern Kamchatka Peninsula. "I would like not to comment on the talks about future sanctions, but there is one thing I can say: if measures like a ban on banking activities or the use of this or that currency follows, this can be clearly be described as a declaration of an economic war. And this war will have to be responded - by economic, political and, if necessary, other means. And our American partners should realize this," the prime minister said. Speaking about sanctions currently in place and those recently announced, Medvedev said that despite the declared political reasons behind them, those measures are intended mostly "to limit our economic power." "In the past hundred of years, our country existed in the conditions of the constant pressure of sanctions. Why is this being done? In order to eliminate Russia from the list of powerful rivals on the international arena," he said.